Filing a Traumatic Brain Injury Claim in Pennsylvania? Negligence tends to factor into accidents that cause traumatic brain injuries whether they are mild, moderate or severe. You might suffer a slip and fall accident due to a place of business not being kept up to proper standards of safety or be the victim of a motor vehicle accident. You might even be the victim of an assault or some type of violence. It was not your fault, but you might still end up dealing with memory and cognition problems, brain trauma, mood swings, depression or even a coma or brain death. Your spouse, child or parent might be the ones who experience severe brain injury symptoms. During such a difficult time, you have to keep calm and take the advice of seasoned legal representation in these matters when it comes to legal recourse and compensation for what has happened. However, it is a complicated area of law that requires a firm focus and strong experience in personal injury litigation. You and your loved ones need to turn to a Philadelphia brain injury attorney who believes strongly in social justice and championing those who are injured due to negligence. Adam E. Grutzmacher has been personally litigating personal injury cases since 2005. His extensive trial experience allows him to take on complex cases and represent people with catastrophic personal injury claims. He forms a close relationship with his clients to better understand their needs and serve their best interests. His strategy always involves building strong, specific and detailed case plans that have the best possible chance at receiving a favorable outcome. What Are Common Causes of Traumatic Brain Injury? Before turning to a Philadelphia brain injury lawyer, you might ask yourself: What is a traumatic brain injury (TBI)? A TBI is a non-degenerative non-congenital injury to the brain from an external force that can possibly lead to permanent or temporary impairment of cognitive, physical and psychosocial functions. It may also involve a diminished or altered state of consciousness. This type of injury normally comes from a violent blow or jolt to the body or head or an object that penetrates brain tissue. A mild TBI might only affect brain cells temporarily, but a more severe injury could cause bruising, torn tissues, bleeding and other physical damage to the brain that can result in long-term complications or even death. If you experience a TBI, then you should seek immediate medical care. Whether mild, moderate or severe, brain trauma is always a serious matter. Falls – Stairway-related accidents are a leading cause of death every, but it is possible to trip and fall over a curb, branch, or your own feet. Violence – You might be mugged or attacked. Sports-related injuries – An errant baseball bat swing. A tackle gone wrong. Playing hockey without a helmet. There are numerous ways sports can lead to significant head injuries. Motor vehicle accidents – “Motor vehicle” is a broad category that includes cars, motorcycles or even bicycles. You can crash or collide with something, whether you are driving or riding along as a passenger. Children (especially newborns up to age four). Young adults (ages 15 to 24). Seniors (aged 60 or older). What Are Common Symptoms and Effects of a Traumatic Brain Injury? A traumatic brain injury can have wide-ranging physical and psychological effects, some of which might be apparent right away and others that might not manifest for days or weeks. In the direst of head injuries, a TBI can even lead to a coma, vegetative state or brain death. 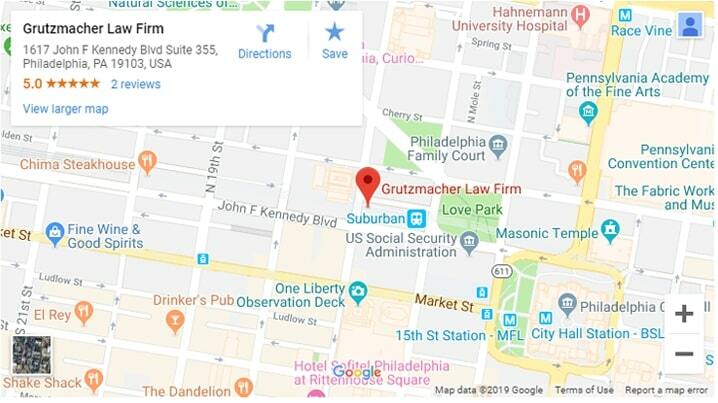 Once you or your loved one has received the medical care they need, then you should look up an experienced Philadelphia brain injury lawyer, like Adam E. Grutzmacher, to see if this brain injury was the result of negligence. If someone accidentally struck you with a car, bicycle, scooter, moped, motorcycle or other means of transportation, he or she can be held liable. Business owners are also liable if you slipped and fell at their place of business or if they have done physical injury to you. If you suffered any type of accident, the owner of the property might be liable. Call our Philadelphia personal injury law firm at (215) 261-7975 or contact us online to get started. Your doctors will likely have done whatever they can for your physical injuries but an experienced Philadelphia personal injury attorney to help you achieve peace of mind and justice for the misfortune that has befallen you.